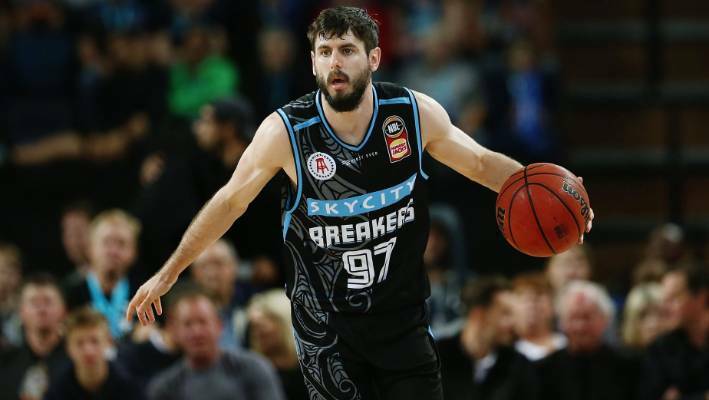 Benny, Banksy and Boydie, AKA the BasketBall Blokes, here for your Round 15 NBL Fantasy guide. What a fantasy round we had. It was certainly a case of the curse of the big men. First we had Kay with 14 points giving us a scare before redeeming himself with a huge 67 against United. Similar storyline’s with highly owned bigs like Long, Wesley and Jawai all putting up average performances in game one before somewhat redeeming themselves with better outputs in game 2. And what about Boguts second worst score of the season with just 27? You were either in the camp that held strong or traded him and brought in one of the afore mentioned. For those who traded last week, the big question is how do you get the big man back this week!? An important reminder, that we have a very early Wednesday 7.50pm AEDT lockout this week so make sure you are fantasy ready! These players have received major price rises after round fourteen. Weeksy and Vague are of value, particularly Weeks with the Breakers on doubles for all four of the remaining rounds. Boone has regained his form leading into United’s stretch of four doubles, while Conger proved last weeks peak in form wasn’t a one off. These players have had the biggest price drops for the round. Bogut obviously fouled out scoring his second worst score for the season with 27 fps. He will decline in price as a result, but can you really risk running without the best fantasy player in the competition? Remember, if Bogut is in your team he is your captain, so your getting two Boguts – Not just one! It’s true, this round opens up a number of opportunities to trade in a couple of good players on doubles, or roll with what you have and upgrade a key bench spot or something for the road to Round 18 – it’s your choice! Now who said trading out Bogut wouldn’t work?? Well, his 27 for the week was a long way off the scores of Kay, DJ, Wesley and even Long. So id say those that did drop Bogut (such as a couple of the bball blokes) would be happy with their decision. As per our twitter question, @mwough22 wrote: the next decision is do we keep Bogut out this week too? All teams on doubles lowers the risk a little, and after his 27 could he once again have a lower scoring game which would possibly see a price drop for Round 16? Or is he set to absolutely dominate the round after his poor showing in Round 14?? Top of the options for trade ins apart from Bogut has to be Lamar Patterson. 64 and 65 in his last two games, he is the in form player of the league fantasy wise and has a friendly few weeks with 3 doubles in a row. Looking at schedule, Melbourne players are looking attractive again as they have doubles until the end of season along with New Zealand. Boone, Casper and McCarron are the picks for Melb based on form, with Wesley, Long and surprise packet Jarrod Weeks the inform scorers for NZ over the last 3 games. 3 doubles in a row for Brisbane, Illawarra and Sydney starting this round also makes options such as Blanchfield, Gliddon, Conklin, Naar, Wear, Randle and Hodgson possible trade targets. Shame we only get 2 trades a week huh! Special Mentions: Melo Trimble has been in a rich vein of form, and has literally been carrying the Cairns Taipans on his back. He will travel over to NZ where he has scored a solid 35, 47 and 55 in their three matchups thus far, before playing the Hawks away where he has scores of 40 and 42. Trimble carries a 5 game average of 46, and could be a unique captain selection, but I feel there are better options with higher ceilings available this week with all teams on doubles. Nick Kay gave us a scare with a 14, before posting a huge 67 against United last round. He has posted scores of 50 and 14 against Adelaide, and 42 and 45 against Sydney, the two teams he will face this week. Kay poses as a unique selection this week with just 11% ownership, and safe to say he would be an even more unique captain selection. Is the big man back!? Boone seemed to fall off the fantasy radar throughout the middle part of the season, partly due to schedule but also partly due to form. Our own Boydie has been quoted as saying the big man is done, but write him off at your own peril. A three game average of 55, plus scores of 81 and 70 previously this season against the Hawks. Add to this a score of 75 already against Adelaide who he will also see this week, and he has all the makings of a make or break unique captain selection if you need to try something a little different that could pay off in the hopes of catching those at the top. 3. Lamar Patterson – The most in form man in the competition. Scores of 64 and 65 in his last two outings, both of which have included double doubles with rebounds. He will matchup against the Kings and Breakers this week who he has played once each, scoring a solid 53 in both. Likely to be one of the most traded in players, and a great option for captaincy selection this week, particularly if you will enter the round without Bogut. 2. Shawn Long – The man who rates himself as the best big man in the comp was barely sighted in the first half against Cairns last round, yet still managed to score 57 fps. It’s Longs ceiling that makes him an attractive Captain Selection. He has scores of 70, 74, 90, 57 and 57…. all within his last 8 scores. With two home games this week against Cairns who has has scored 70 and 57 on already and Brisbane, Long could be the man with the ceiling if he can just stay out of foul trouble. 1. Andrew Bogut – Lets face it. If your have $2.42 million invested in the selection of Bogut in your team, then he is your captain. He plays Brisbane who he put up his highest fantasy score for the year against earlier in the season with a massive 92. The interesting statistic is he has struggled against his other matchup this week in Perth, posting scores of just 43 and 24. The Bogey man is averaging more than 62 fantasy points a game, with the next best player averaging 42. Are we worried by last weeks foul effected 27? The last time Bogut scored in the 20’s, he backed it up the following game with a huge 71. Lock. All teams on a double this week for the first and only time this season. An NBL feast is on the cards! Only United and the Breakers will see out all four weeks with consecutive doubles.